Two tournaments will be held: for boys born 1996 or later (A-Tournament) and for girls born 1996 or later (B-Tournament). The tournaments will take place from January 3 to January 6, 2014 in the Paul Keres Chess House (Vene Str 29. The Opening Ceremony will take place on January 3, at 14.45. The first round will start at 15.00. 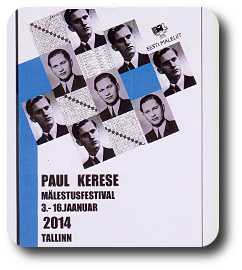 Entries are taken in the Paul Keres Chess House on January 3, from 14.00 to 14.40.